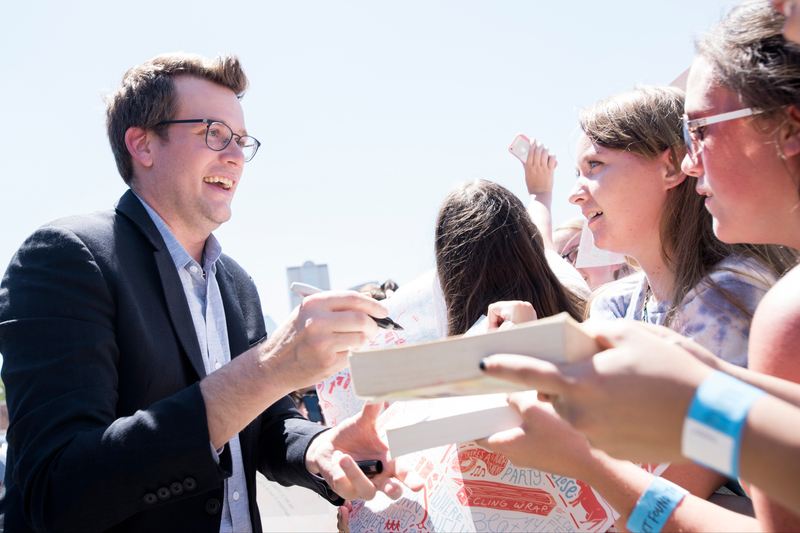 John Green is building himself a young adult novel-turned-movie empire that's growing bigger by the second. His latest release, Paper Towns is hoping to follow in the footsteps of The Fault in Our Stars, and with the amount of work the authors has in his literary cannon, fans will most likely expect more movie versions of his books in the near future. So when does Looking for Alaska come out? The 2005 novel (Green's debut) is bound for a big-screen release soon, right? Actually, it is — and it couldn't come with a better crew. Written by Paper Towns and The Fault in Our Stars screenwriters Scott Neustadter and Michael H. Weber and directed by Rebecca Thomas (Electrik Children), Looking for Alaska will probably be released in late 2016. Judging from the gigantic ovation of The Fault in Our Stars (the movie made over $300 million worldwide), It's almost certain that Green's rabid fanbase will duplicate, if not surpass that success with his next film. Having recently scored a first-look producing deal with Fox 2000 Pictures doesn't hurt; it looks like Green is well on his way to becoming the king of the "young love" genre for the Snapchat generation. Green has managed to create a new kind of romantic world that strays far from the maudlin adult realm of Nicholas Sparks novels and is absolutely nothing like the brooding, lovelorn young adult reading that the Twilight series introduced the world. He creates smart stories about real-life teens in real-life situations with clever dialogue — and you can expect nothing but that in Looking For Alaska. As for who's going to star in it, that's not yet known — but I could totally see Nat Wolff taking on the role of Q. Sure, he's already the star of Paper Towns, but he just fits the part of a John Green character so, so well. For those unfamiliar, Looking For Alaska is Green's first young adult novel, about a boy obsessed with famous last words named Miles "Pudge" Halter who goes off to boarding school. While there, he meets a fascinating, mysterious girl named Alaska. They grow close, and an adventure-filled relationship ensues. Yet things take a sharp turn partway through the novel, and Pudge is forced to confront the darker side of their romance. Published in 2005, Alaska won the 2006 Michael L. Printz Award from the American Library Association. Oddly enough, the book didn't get much of its attention until 2012, when it made the New York Times best seller list, seven years after its release. What's even more interesting is that it didn't get made into a movie until now, despite potential for an adaptation in the past. At one point, there was a script, and in an old interview on Green's website, the author said that the screenplay "does not feature a comic book superhero or flying dragons or hypersexualized vampires." At the time, however, there probably wasn't room for this kind of teen romance among all the supernatural-focused movies blowing up theaters, and Alaska was shelved. In the same interview, Green said, "I don’t mind if it never becomes a movie." Lucky for his fans, though, the adaptation is on its way — although probably not with the star the author wants. In an interview with Access Hollywood, Green revealed that he would love for Taylor Swift to be in Looking For Alaska . T. Swift or not, though, this will surely be another big-time YA movie blockbuster that the author can add to his ever-growing resume.